Heavenly International Tours specializes in Walk Where Jesus Walked tour packages from South Africa. 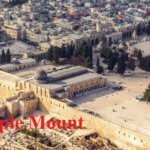 Based in Johannesburg, South Africa, we are an exclusive tour operator specializing in tours of In the Footsteps of Jesus & his Disciples, travel to Israel, Turkey, Jordan, Greece and Italy since 1994. In the Footsteps of Jesus is the theme of all our tours in the Holy Land. We follow Jesus footsteps From Nazareth in Galilee to the Sea of Galilee where he set up his ministry. From there we follow his path along the Jordan River where he was baptisd, to Jericho’s Mount of Temptation to Jerusalemwhere foresaw the destruction of the Temple. In Jerusalem we then visit all his milestone. 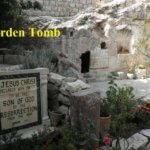 Our tours visit all the sites sacred to Christianity (click on the links below for more information): Nazareth, Cana, Mount Tabor, Tiberias, Sea of Galilee, Capernaum, Tabgha, Mt. 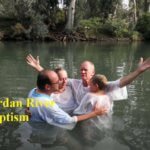 Beatitudes, Baptismal Site at Jordan River, Caesaria Phillipi, Mount Carmel, Megiddo, Caesaria, Jaffa, Ein Karem, Bethlehem, Jericho, Mount of Temptation, Dead Sea, Qumran, Massada, Ein Gedi, Jerusalem, City of David, Siloam Tunnel, Temple Mount, Pools of Bethesda, Via Dolorosa, Ecce Homo Arch, Churh of Holy Sepulchre, Room of Last Supper, Garden Tomb, Gathsemane, Western Wall, Old City Walls, Israel Museum & Dead Sea Scrolls, Yad Vashem.